From the lush Amazon rainforest comes the exotic flavor of acai berries. When paired with blueberry flavored centers and premium dark chocolate, these berry flavors become truly unforgettable. 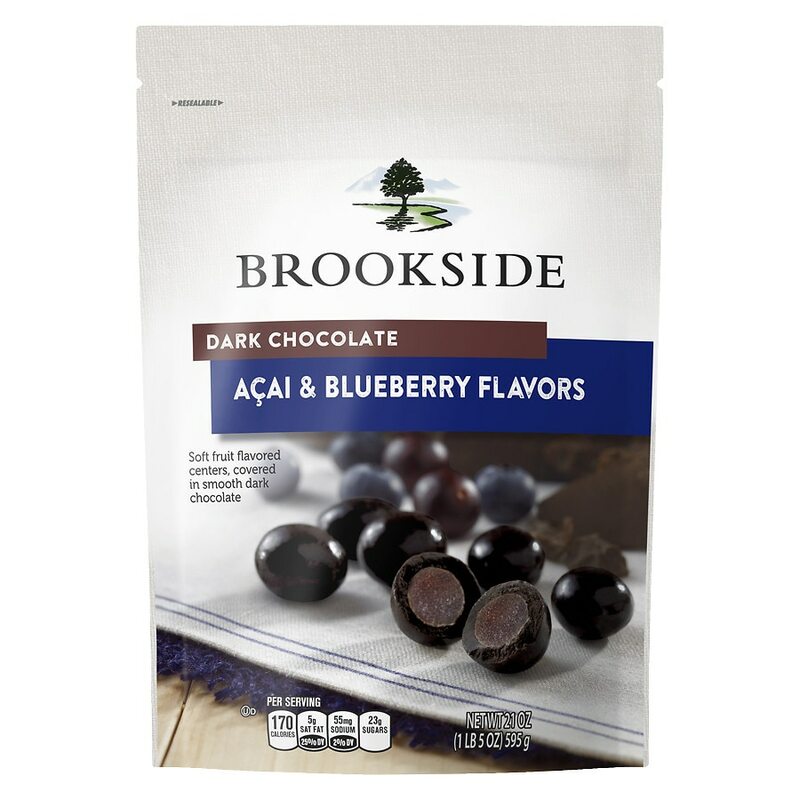 Treat yourself to this luxurious blend of flavors, elevate snack mixes and home-baked desserts, or introduce friends and loved ones to the artistry of Brookside Dark Chocolate Acai and Blueberry Flavors. Perfect for snacking, sharing, and add sophistication to your favorite trail mix. This candy is certified kosher. Gluten free confection.